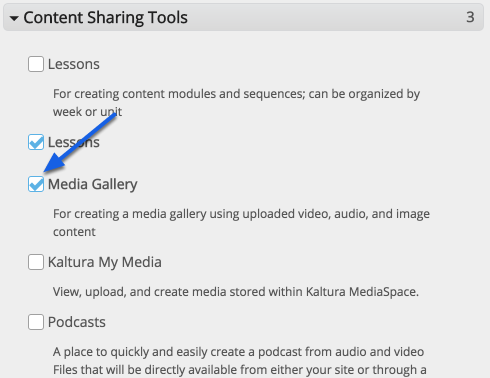 Kaltura Media Gallery houses media that has been shared with that specific Sakai site. You will need to add Kaltura Media Gallery to your sites by navigating to the Site Info tab located in the left navigation bar. Check the box to the left of Media Gallery to select it. Scroll to the bottom of the page and click on the Continue button. 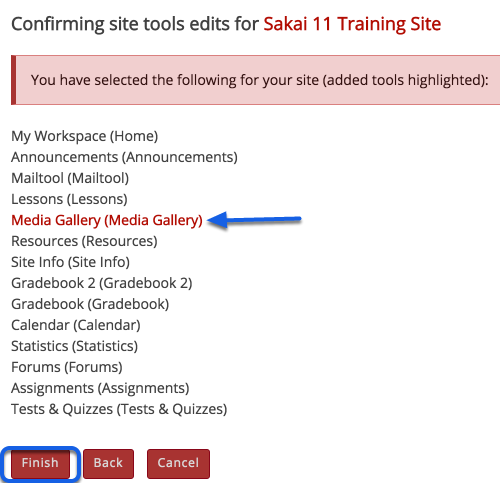 Sakai will ask you to confirm the changes that you have made to the site. Anything in red text is a change that has been made. To confirm the changes click Finish at the bottom of the page. 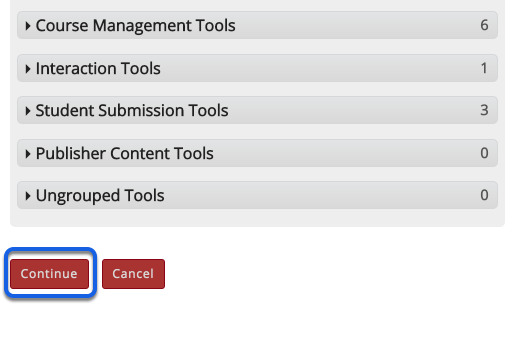 By default any new tool that is added to a Sakai site is automatically sent to the bottom of the list (right above Help). Click "Add Media" button. This will display the contents of your Kaltura My Media library. Check the box to the left of the media. You may select multiple. Note: Any media with a grey check in the box has already been included in the site. In the upper right corner, click Publish. Please refer to the article on how to Edit Media in Kaltura My Media. 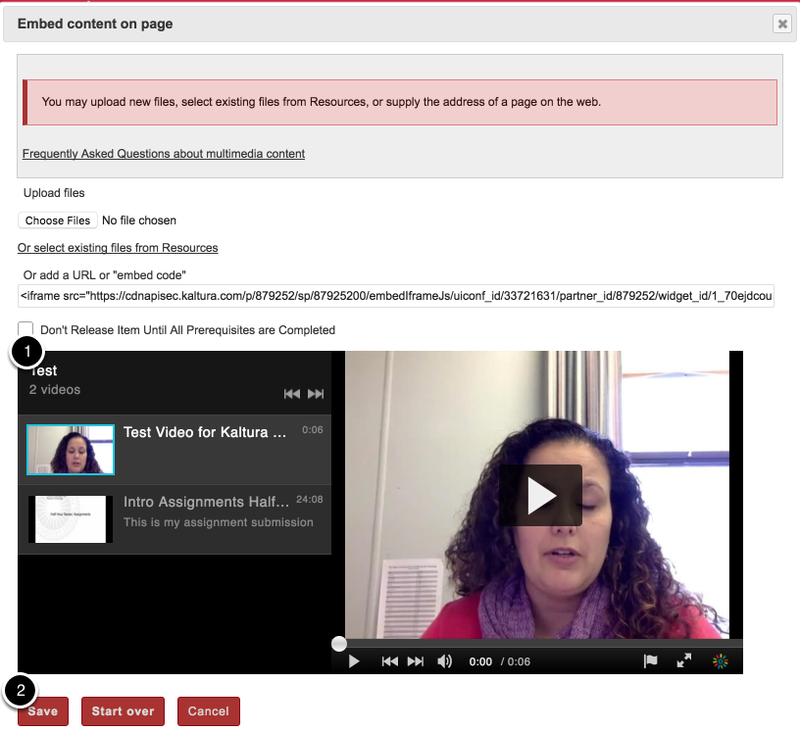 You may have several videos that refer to a specific topic. You can create a playlist to display them all together. Click on the Playlists tab. 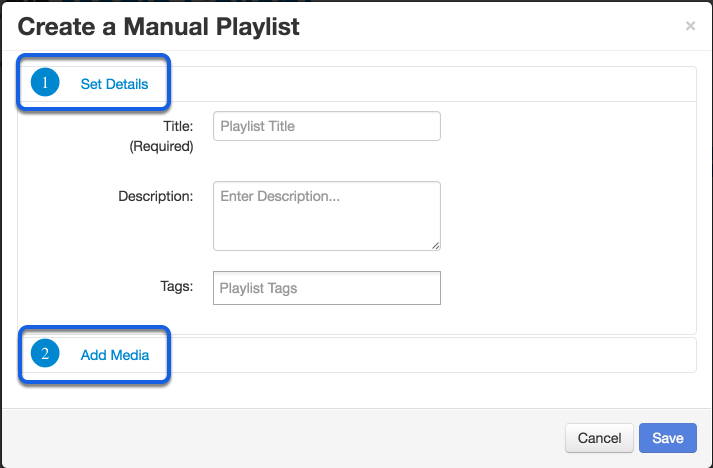 Select Manual Playlist from the dropdown menu. Enter a title then click "Add Media"
Click on the "add" button located to the right of each thumbnail to add that media to the playlist. Selected media are displayed on the right. You may re-arrange the order they appear. 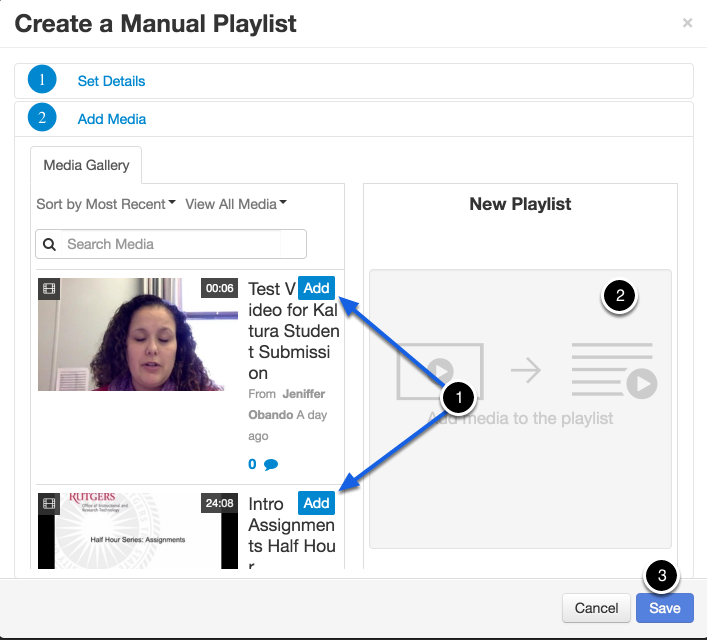 You can add a Playlist to a Lessons page to give it some context. 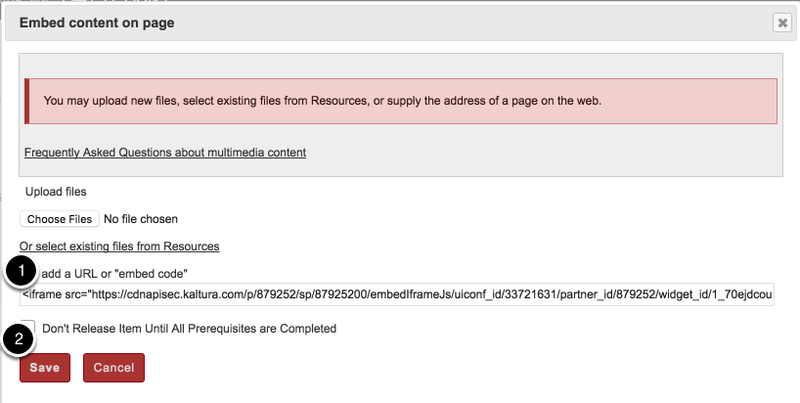 By clicking on Embed you will get an embed code which you will need to copy. You can choose to embed it in a horizontal or vertical layout. 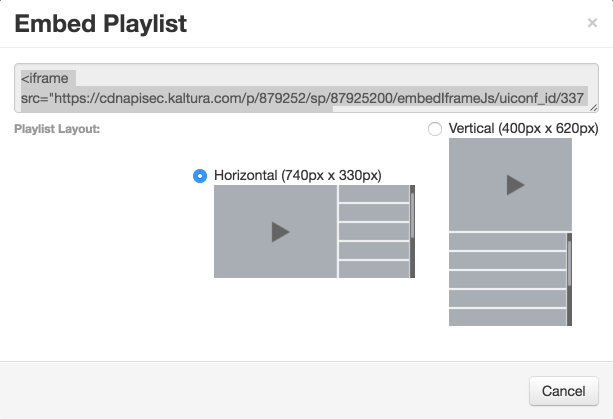 Each layout will create a different embed code so choose carefully. Any item added to a Lessons page will be added at the bottom. If you need to rearrange this click on the Reorder tab at the top of that Lessons page. You can view data about your media in this section. 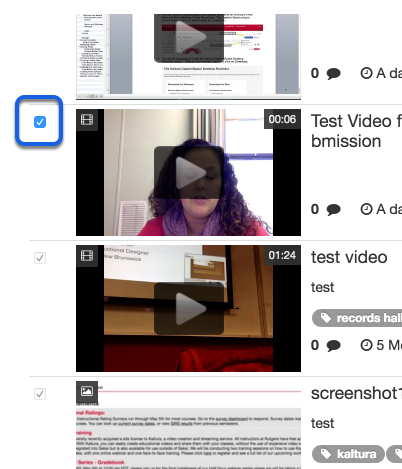 Access analytics by clicking on Actions in Media Gallery. Media analytics: displays how many files are in the site, how many have been viewed and how many plays the collection has gotten. Most Popular Media list: see which media is your course's favorite. User Engagement and Contribution: simple data that allows you to see how often specific students are engaging with your media as well as who your top contributors are. Here you are able to view the different titles in your site, who they were uploaded by, how many plays they have had as well as the average for the number of times people did not finish watching the media (Avg. Drop-Off). Here you are able to see how many unique videos were viewed as well as other items that might interest you. 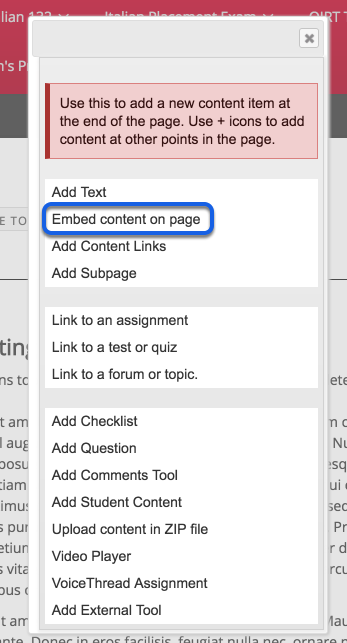 This example limits what you might see with a full roster but when used with a real course you will be able to see what types of media have been uploaded by each student. This is only possible if you have allowed your students to upload media to the Media Gallery.